Editor’s Note: This is part 3 of a 3-part series. All statistics and information cited is prior to the 9/25 game against Arizona. The above photo is from last season when Corey Seager launched a grand slam against the Reds, which would’ve been very helpful in any of the six games they lost against them this year. Now it goes without saying that the Dodgers could have used a full healthy season of Seager, but when examined deeper, he likely provided something less noticeable on the surface that really would’ve boosted the team’s offense. 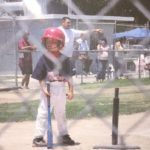 He was already a stud, but even more than that, he excelled when the pressure was on. In his rookie year, he had an .884 OPS and a 132 wRC+ with runners in scoring position. He followed that up with a 1.054 OPS and 166 wRC+ last year, and in his 29 plate appearances with RISP this year, he had an 1.101 OPS with a 186 wRC+. In addition to this, last year in his 58 plate appearances with runners in scoring position and two outs, he hit .449/.534/.816 good for a 247 wRC+. The Dodgers could’ve really used that type of production in those situations this year. On May 16, this team was 16-26 which was the worst record they’d have all season. Since then, they’ve gone 72-44 which is 3.5 games clear of the Cubs who have the second best record in the NL over that stretch. That 72-44 record is also the fourth best overall, trailing only Boston, Oakland, and Houston. Over that same time span, the Dodgers sport a run differential of +179, the best in the entire MLB. Run differential is a separate thing to discuss at another time, but sometimes such as this it’s not exactly an accurate portrayal of overall team performance. If the team were .500 over that first 42 game stretch at 21-21, they’d be 93-65 today, which would would be the best record in the NL. Additionally, over those last 116 games, even though they’ve been really good, if they had better bullpen performance or offensive performance with RISP that team is probably pushing 100 wins at this point. 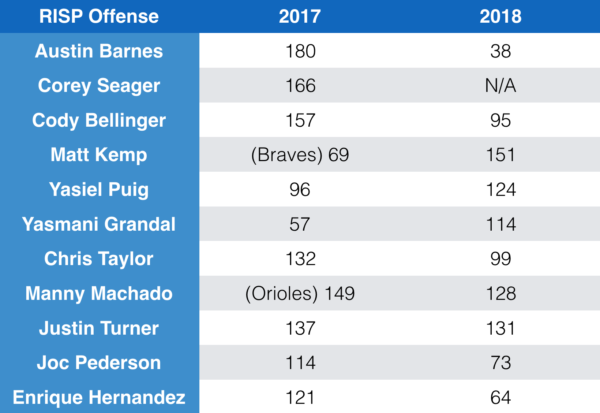 When comparing the offense to last year, there are some stark differences in performance with runners in scoring position. In 2017, the team was one of the best offenses in the entire league, and despite not being as productive with RISP they still remained effective enough to produce runs when it mattered. The same can’t be said this year. This year, the Dodgers have the best offense in baseball. 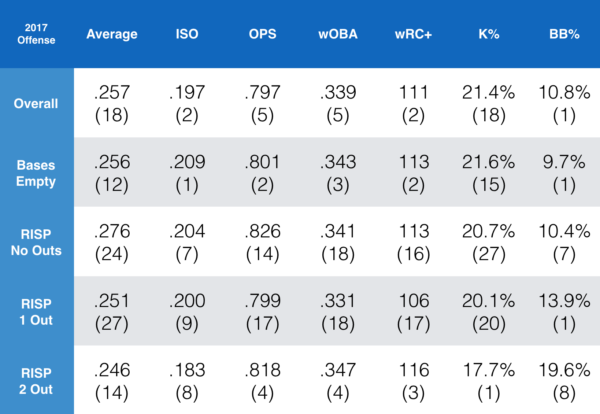 The offense is absolutely dominant with nobody on base, and every single facet that the Dodgers typically excel at is far and away the best in the league. This offense is never the top team hitting for average, but with nobody on, this team gets on base and hits for far more power than any other team in baseball. That .225 isolated slugging mark is an entire 28 points higher than the second best team, the Yankees (.197) who are leading the league in home runs at 252. That’s a massive gap. The offense is similarly efficient with RISP and no outs, but tapers off with one out and becomes nearly the worst in the league with two outs. That batting average of .206 is ahead of only the 45-111 Baltimore Orioles. The team ranks almost last in nearly every meaningful statistic when put in these situations, and the only thing keeping those from being the worst is the 15.7% walk rate. The fact that the team’s overall offense is still the best in the league despite their situational hitting, just shows how dominant the offense is with nobody on base. The team has had a difficult time winning as much as they’re projected because of this. Baseball Reference calls their own version of the difference between expected records versus actual records “luck”. The reason it’s called that is because there’s typically no correlation from season to season. For example, the 2016 Texas Rangers outperformed their expected record by 13 wins, as they went 95-67 while they were expected to go 82-80. In 2017, the Rangers were -1 in luck, with a 78-84 record. In 2018, they’re at -3, a 16-win difference from just two season ago. Similarly the Yankees were +5 in 2016, -9 in 2017, and back to +2 this season. The Dodgers were +1 in 2016, +2 in 2017, and a league-leading -9 this year. These discrepancies are usually tied to clutch performance which is hard to quantify as a legitimate skill, hence calling it luck. In 2017, the Dodgers had a -0.69 clutch rating which was 13th overall, above the league-average of -1.54. The year prior, they were at +0.23. This year, the league-average is -1.14, and the Dodgers rank dead last at -7.80. Sound bad? That’s because it is. In fact, it’s almost unbelievably bad. To put this into context, the clutch statistic goes back to 1974, which means it accounts for 45 years in total. When compiling all the individual team seasons over 45 years, that comes out to 1,258 seasons. The 2018 Dodgers rank 1,255th of those 1,258. Yes, that means there have only been three teams over the last 45 years that have been less clutch than the Dodgers have been this year —— the 2016 Twins, 2005 Indians, and 2015 Reds. With the record setting 2016 Twins, in 2015 they were at a +3.87 clutch rating, and in 2017 they were at +1.99. Essentially similar performances, with all of a sudden the worst clutch season of all time put between them. This demonstrates that usually there is no real correlation with relatively similar rosters year to year. The 2018 Rockies are at +3.90 this year which ranks them 82nd of those 1,258. The combination of the Rockies over-performing, and the Dodgers drastically under-performing has this division race tight. The 2018 Red Sox rank 8th of 1,258, with an impressive +6.29 offensive clutch rating. Still, they were at 2.11 last year, and -2.61 the year prior which again points to the lack of correlation between these seasons. The simple explanation is that it’s hard if not impossible to justify that clutch performance is a legitimate skill. Plus, with extreme variance from year to year with nearly identical rosters, it doesn’t make sense to point to roster turnover either. In the Dodgers case, it’s simply just under-performance when it’s needed most. The Dodgers are just worse this year than almost any team has ever been. When looking for any individual outliers in performance with RISP, there isn’t much to point to as a clear and easy fix. The only two hitters with any real consistency are Turner and Machado, two of the top hitters in all of baseball. There are a handful of issues with taking any real meaningful information from this. One is that the sample size year-to-year for full-time players is between 120-160 plate appearances, and with the way the Dodgers rarely start the same players on a day to day basis, the sample sizes are even smaller. Additionally, if players have large platoon splits, it can be misleading to see that someone performed poorly over 90 total plate appearances. If they were in unfavorable situations facing same-handed pitchers, that’s not indicative of their true talent and expected performance moving forward — the same thing can be true in the opposite manner. 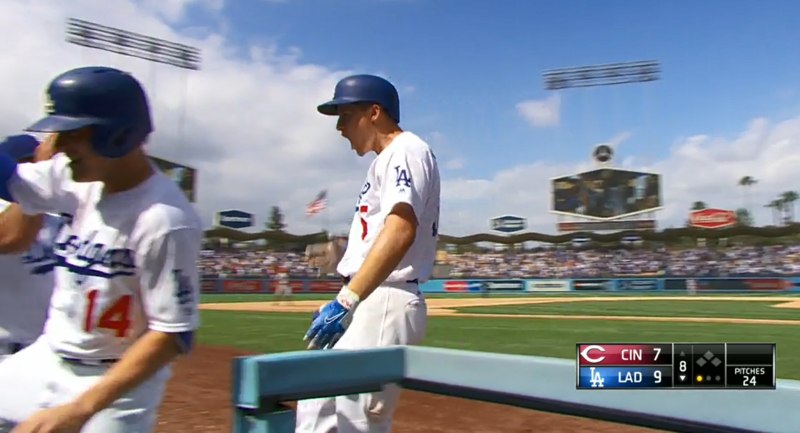 Austin Barnes led the team last year with RISP with a 180 wRC+, while this year he’s at 38. Without looking at anything else besides those two numbers, it’s possible to say Barnes just got much worse at hitting with RISP, however this doesn’t account for the fact that he just dropped off so much overall that in turn he’s significantly worse in every single situation. Chris Taylor and Cody Bellinger had break out seasons last year, and as the league has adjusted, their performance has dropped off. Max Muncy has a team leading 164 wRC+ with runners in scoring position, but that could easily drop off next year as the league adjusts to him. All in all, between the abysmal start to the season which put them in a huge hole, the miserable performance with runners in scoring position and in the clutch, and the overall drop-off in bullpen performance, it’s relatively clear to see where the Dodgers lost a handful of games compared to their projected standings. It’s actually incredible that they’re even in playoff contention despite all of this. At the end of the day, it’s baseball, and sometimes that’s just the way things go.